OTTO Pizza is coming to Coolidge Corner in Brookline, MA. OTTO Pizza is set to open a new store in the Coolidge Corner neighborhood in Brookline, Massachusetts. The new shop, which received licensing approvals from the Brookline Board of Selectmen last night, will offer OTTO Pizza’s full menu of interesting and unusual pies, including the signature Mashed Potato, Bacon and Scallion pizza that has drawn national media coverage, as well as special creations featuring seasonal ingredients. The menu will also include several salads and desserts. Allen said the new store, which will be located at 289 Harvard Ave. in Brookline, will have 60 seats when the build-out is complete and is on schedule to open in May 2012. “We’re going to provide people with a place to come in, sit down and have an excellent meal without breaking the bank,’ Allen said. Allen’s partner in OTTO Pizza, co-owner Mike Keon, said the new store will also feature a selection of beer and wine available by the glass. OTTO Pizza is owned by Allen and Keon, both veteran restaurateurs with decades of experience between them, and currently has four locations: two full service restaurants in Portland, a delivery restaurant that is also in Portland, and a Harvard Square shop in Cambridge, Mass., that offers take-out service. 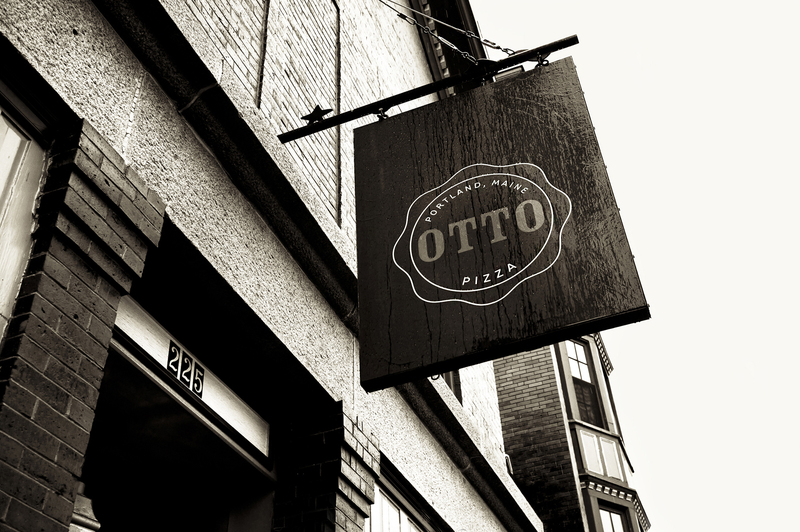 The Brookline, Mass., store represents the fifth OTTO Pizza location. 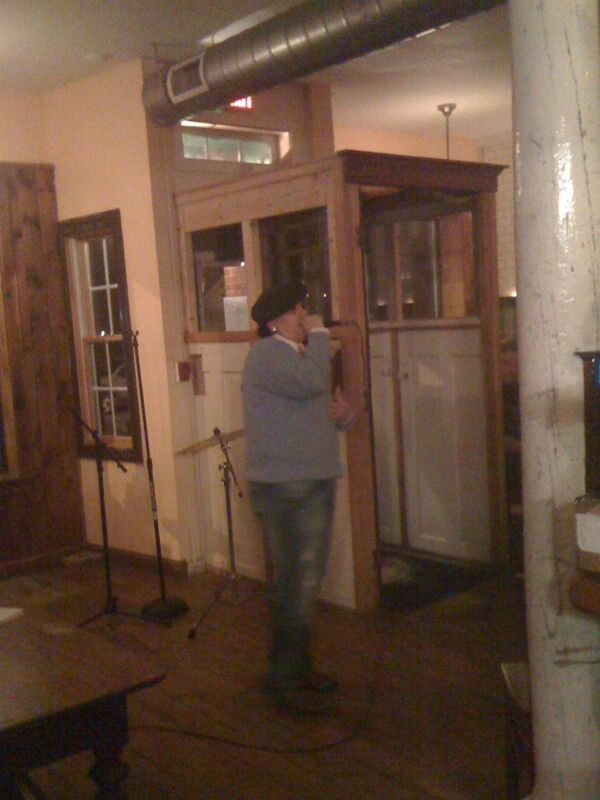 Lady Zen delivers some spoken word truth at the OTTO Pizza Christmas party in December 2011, which took place at the OTTO Pizza on Munjoy Hill. The folks who work at OTTO Pizza are an eclectic bunch, no doubt, but it’s not often that one of our own gets a cover story in a well-read local mag. Lady Zen, a jazz singer and poet who also happens to work at OTTO Pizza‘s Munjoy Hill shop at 225 Congress St., in Portland, Maine, got a helluva write-up this month in The Bollard, a monthly magazine in Portland that’s become a must-read for anyone who wants to keep up with the lowdown on what’s going on culturally in this town. Not only did The Bollard’s publisher, Chris Busby, who wrote the piece himself, manage to convey a compelling account of her life story, he also delivered a convincing argument as to why her shows are quickly becoming can’t-miss events wherever she plays. The most powerful voice in Portland belongs to a 40-year-old Brazilian Buddhist from the Bible Belt who makes her living slinging pizza. Her name is Alzenira Santos Amaral Quezada. You may know her as Lady Zen. Lady Zen’s music mirrors her life: both have been all over the map. On the heels of a heartbreaking year, Lady Zen is poised to make her strongest music yet in 2012. She’s learning how to meld her influences into a sound that’s uniquely her own. You’ve never heard anyone like Lady Zen around here. And you ain’t heard nothin’ yet. Lady Zen, who works the OTTO Pizza kitchen on Mondays, Wednesdays and Fridays, and also takes a turn hosting on Friday nights, has a couple of gigs coming up that promise to showcase different aspects of her amazing talent and engaging persona. The first is set for Feb. 14, (Valentine’s Day, ya know) at The Big Easy, where she’ll recreate Erykah Badu‘s phenomenal record, “Baduizm,” in its entirety — for the first set. In the second set, she and her band will present a complement of her original tunes, which she said she’s reworking specifically for this performance. The second gig on the horizon represents something else entirely — exactly what, however, remains to be seen: Lady Zen will be participating in the Space Gallery’s 48-hour Music Festival, with a show set for Saturday, Feb. 18. Thirty adventurous artists from different Portland bands of all genres agree to step out of their comfort zones and be randomly shuffled into 6 supergroups, announced on Thursday afternoon. No members of these newly formed bands are allowed to have previous musical history with one another. From there, each band has exactly 48 hours to construct and practice a 25 minute set of material, culminating in the Saturday performance. So, mark the dates down in your datebooks, folks, and try to hit at least one or both, if at possible. In the meantime, you can check out a couple of tunes from her recent gig at the Big Easy at The Bollard’s website, or you can go straight to the source at her own website.